The Reality Enrichment And Life Lessons, or REALL, Simulation gives youth the opportunity to experience the consequences of decisions made in adolescence and their effects in adulthood. Youth are challenged to live life as an adult by paying bills, caring for children, working, and other adult responsibilities. Volunteers are needed to man the booths that participants visit during the 3-hour simulation. 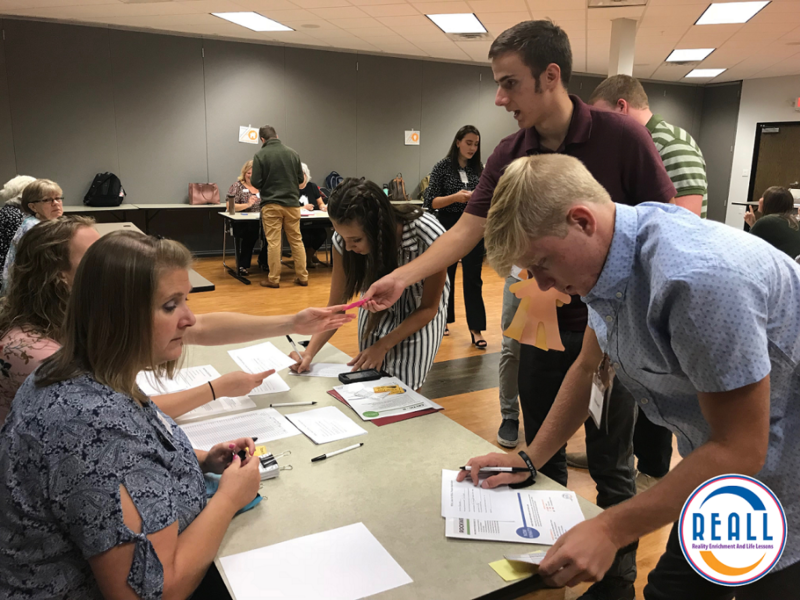 Booth tasks vary based on their role in the simulation but can include cashing checks, collecting payments for bills, caring for children, acting as the employer, and many others. For more information on this opportunity, as well as training information, please contact the Neighborhood Center Office at 417-873-3370. Address: 215 S. Barnes Ave.